Five recent graduates of Arizona State University’s Ira A. Fulton Schools of Engineering and two current ASU engineering graduate students have been awarded National Science Foundation (NSF) Graduate Research Fellowships to support their pursuit of advanced degrees. The competitive fellowship program aids graduate students studying science, engineering, technology and mathematics who are judged to have the potential to be future research, teaching and innovation leaders in those fields. The NSF views the skills and creativity of fellowship awardees as “crucial to maintaining and advancing the nation’s technological infrastructure and national security as well as contributing to the economic well-being” of the country. The award, considered one of the most prestigious graduate research fellowships in the country, brings each student a three-year annual stipend of $30,000, plus allowances for tuition and fees. “This is an achievement that clearly reflects the excellence and competitiveness of our students at the national level,” says ASU associate engineering professor Lenore Dai, who is chair of the chemical engineering program. Dai has been the adviser to the three ASU chemical engineering students who won 2012 NSF fellowships. Bowman graduated in May with a bachelor’s degree in materials science and engineering. The NSF fellowship will be used to support his pursuit of a doctoral degree in the same field from ASU. He’ll focus on research using electron microscopy to gain more fundamental understanding of the atomic-level characteristics of ceramic materials that can be applied to advanced energy-generation technologies. He’s aiming for a career in development of sustainable energy technologies. 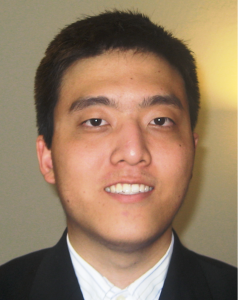 In his undergrad years, Bowman spent a summer as a research fellow with the National Institute of Standards and Technology in Gaithersburg, Maryland and competed in a regional engineering design competition with a team of fellow members of the Society of Automotive Engineers. 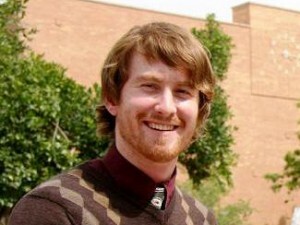 Bowman won grants from ASU’s Fulton Undergraduate Research Initiative that enabled him to give presentations on his research of solid oxide fuel cell materials at meetings of the Materials Research Society in 2011 and 2012. He is currently part of a materials engineering team with a startup energy technology company that is developing wind turbine prototypes. Bowman has done community service and education outreach. Since last year he has worked with middle school students on a glider design project that incorporates basic science and engineering lessons. Earlier this year he helped organize an event hosted by the National Society of Black Engineers to spark young students’ interest in engineering, science and technology. After earning a bachelor’s in civil, environmental and sustainable engineering—along with a minor in Spanish—in May 2011, Dunkin got a master’s degree in environmental engineering this past spring. He’ll use his NSF fellowship to pursue a doctoral degree in the field at ASU. He’ll focus on water treatment and sanitation research that he hopes to eventually use in work to raise the quality of life in developing countries. Dunkin was awarded more than 25 merit-based scholarships during his undergrad years at ASU as a Barrett honors student. He studied abroad in Spain to hone his Spanish skills, did an internship in the United Arab Emirates and Qatar for an engineering consulting company, and worked in Mexico leading teams for an international community development organization. He has given presentations on his research at meetings of the American Society of Microbiology and at NSF Water and Technology Center regional meetings. In the past year, Dunkin has volunteered as an assistant teacher for English as a second language classes at a Mesa community center. 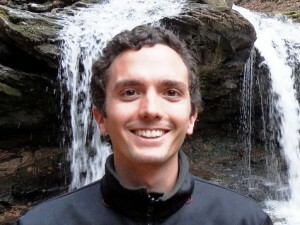 In his doctoral work, he plans to combine his environmental engineering research with studies guided by a faculty member in ASU’s School of Human Evolution and Social Change. “I want to learn some things from the humanities side,” Dunkin says, to better prepare himself for applying his engineering expertise to humanitarian efforts. Frost is pursuing a doctoral degree in chemical engineering at ASU after earning a bachelor’s degree in the field through studies at the Ira A. Fulton College of Engineering and Technology at Brigham Young University in Utah. The NSF fellowship will help support his research examining ionic liquids and how particles behave at the interfaces of these liquids. Such work can be applied to technologies and methods for doing carbon capture that prevents air pollution and to developing replacements for industrial solvents that will alleviate environmental problems posed by conventional solvents. 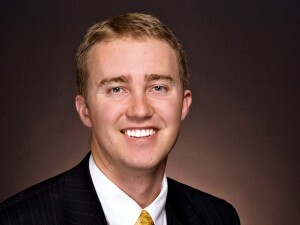 Frost’s performance in studies and research has earned him grants from the National Aeronautics and Space Administration, Science Foundation Arizona and the Achievement Rewards for College Scientists organization, among others. He’s given research presentations at international meetings of the American Chemical Society and the American Institute of Chemical Engineers. He has co-authored five articles published in prominent research journals. Earlier this year, he presented a display of one of his research projects at the prestigious Gordon Research Conference, a highly selective international forum that gathers scientists, engineers, industry leaders and outstanding graduate students involved in areas related to Frost’s research focus. In 2011, he was named the Outstanding Teaching Assistant in chemical engineering at ASU. He also developed an after-school program at a Phoenix middle school that gave young students hands-on lessons in chemical, environmental and energy engineering. Prior to coming to ASU, Frost spent two years training and supervising volunteers for his church organization’s proselytizing mission in Guatemala. Karber has been a research associate for the past year at Oak Ridge National Laboratory – the largest science and energy lab in the U.S. Department of Energy system—after receiving a bachelor’s degree from ASU in mechanical engineering in December 2010. The NSF fellowship will enable him to begin studies in the fall for a master’s degree in mechanical engineering at the University of Colorado, Boulder. At ASU, his major included a concentration in the areas of energy and environment. In Colorado, he hopes to have an opportunity to do research in collaboration with the National Renewable Energy Laboratory. The university in Boulder is also strong in studies that prepare students to apply their expertise to support developing communities—which Karber wants to focus on. While at ASU he was part of Project Upepo, a student team that developed a low-cost wind turbine to help provide communities in Africa with a renewable power source. The endeavor won an entrepreneurship grant from ASU’s Innovation Challenge program. Karber traveled to Kenya and Malawi to do research for the project. He also worked with a faculty member on a team project to develop a power plant that used organic matter to produce energy. The work lead to a Fulton Undergraduate Research Initiative project, where he characterized several non-traditional biomass fuels for use in power plants. For his senior-year engineering design capstone project, Karber coordinated a team that designed and built an automated sorter of recyclable materials. His research achievements at ASU led to a four-month undergraduate internship at the Oak Ridge Laboratory. He also participated in education outreach as a Science is Fun Leadership Intern, helping to provide presentations on science to K-6 students. 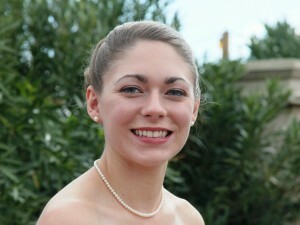 Lee graduated from ASU in May, as a Barrett honors college student, with a bachelor’s degree in electrical engineering. 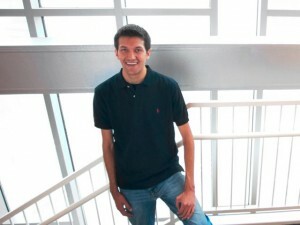 He’ll use his NSF fellowship to pursue a doctoral degree in the field at Stanford University. During his four years at ASU he held a student-worker position as a research assistant at the Flexible Display Center at the ASU Research Park, participating in several key projects pursuing advances in flexible electronics and related technologies. Some of that work led to Lee sharing in the award of patent for a new advance in dual-stage active pixel devices, which are key components of modern cameras and other photographic technologies. He co-authored two articles published in major research journals and helped develop a research presentation given at the International Flexible Technology Conference of the Institute of Electrical and Electronics Engineers. He won a national Goldwater Scholar Award and an Arizona Governor’s Innovator Award, was a finalist in a National Junior Science and Humanities Symposium competition and took a second-place award in an International Science and Engineering in Computer Science competition. He also won the top award earlier this year for the electrical engineering senior-year capstone design project. Lee says he was able to do research that delved into course subjects that he found the most interesting—including digital and analog circuitry, signal processing, electromagnetic, solar energy and photovoltaic systems engineering. At Stanford he’s hoping to focus on, among other things, development of nanoscale integrated electronic circuits that will be able to travel through the bloodstream to deliver medicinal drugs into the body to destroy cancer cells and remove plaque near the heart. Nofen graduated in May with a bachelor’s degree in chemical engineering and will use the NSF fellowship to pursue a doctoral degree in the same field at ASU. This summer she’s working a second internship with Henkel Consumer Goods, Inc., putting her chemical engineering skills to use in research to make home-care products more effective, economical and environmentally safe. Through funding from the Fulton Undergraduate Research Initiative and the ASU/NASA Space Grant, Nofen’s undergraduate research focused on novel ionic liquid-based Pickering emulsions. Ionic liquids have applications in methods to reduce air pollution, for use in developing new lubricants and solvents, and in industrial processes that require initiating chemical reactions. Her graduate research will include work with materials at the nanoscale, specifically the use of poly-ionic liquids. She will participate in a project that explores the use of these specialized nanomaterials on the wings of aircraft for stress-related sensing applications. Nofen’s undergraduate performance in studies and research helped her become a Moeur Award recipient, a Tau Beta Pi Dodson Scholar, and a Six Sigma Greenbelt/Blackbelt. She co-authored two articles published in science and engineering journals and presented her research at the annual meetings of the American Institute of Chemical Engineers and the American Chemical Society. Nofen’s education outreach efforts included serving as an Undergraduate Teaching Assistant for two chemical engineering courses and as a Fulton Academic Coach. Through the ASU/NASA Space Grant she participated in a space-exploration exhibit for children as part of ASU Homecoming Day celebrations, ASU’s Earth and Space Exploration Day, and an ASU Astronomy Open House. Throughout her college years, she continued an endeavor she began in the 5th grade: playing the saxophone. For the past two years, she’s been a member of the Arizona Wind Symphony, a community band based at the Tempe Center for the Arts that performs in several concerts each year. Perea graduated in May with a bachelor’s degree in chemical engineering, and as the 2012 Outstanding Graduate of the Ira A. Fulton Schools of Engineering—and the chemical engineering program—as well as the Outstanding Graduate in Research of the Barrett honors college. He will use his NSF fellowship to pursue a doctoral degree in chemical engineering at the University of California, Berkeley. Perea was twice a recipient of the Barry M. Goldwater Scholarship, which is given to only 300 outstanding undergraduates throughout the nation each year. He also won multiple merit-based scholarships from the ASU engineering alumni chapter and the Sun Angel Foundation, among others. His academic and research performance helped earn him a summer research internships at the Massachusetts Institute of Technology (MIT) and with the National Science Foundation Research Experience for Undergraduates program at the University of Colorado-Boulder. He served almost two years as the outreach coordinator for ASU chapter of the Society of Hispanic Professional Engineers, and was a summer volunteer tutor for middle school students. 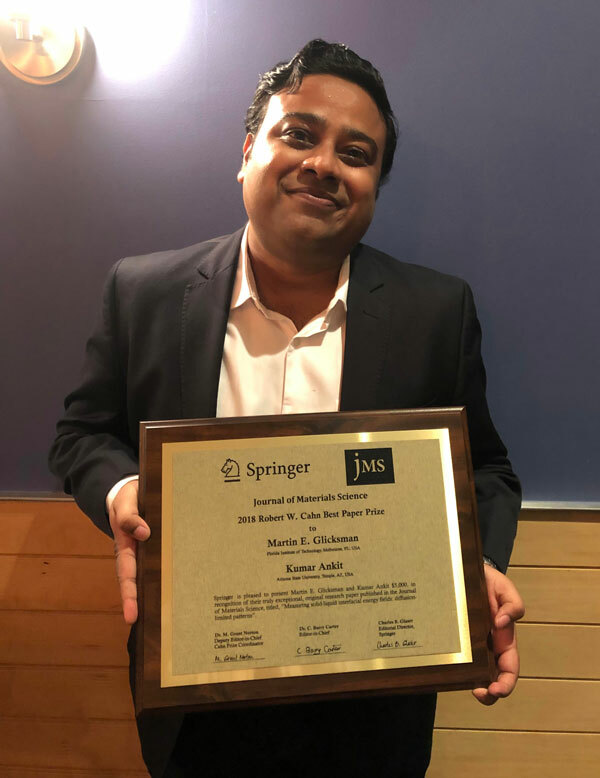 His research in materials-based chemical engineering has spanned the study of nanoscale structures of materials from improvement of consumer products to enhancing the performance of semiconductors used in computer chips. 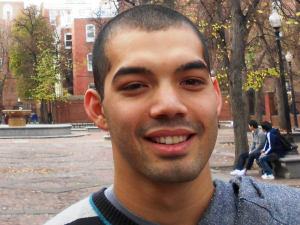 During his internship at MIT he worked on a project for the Koch Institute for Integrative Cancer Research, doing research on prostate cancer treatment. At Berkeley, he hopes to continue chemical engineering research to improve health care treatments and technologies. Specifically, he plans further study of new materials that can be used to transport drugs in the body.